Some interesting edits are shown here that I want to talk about. 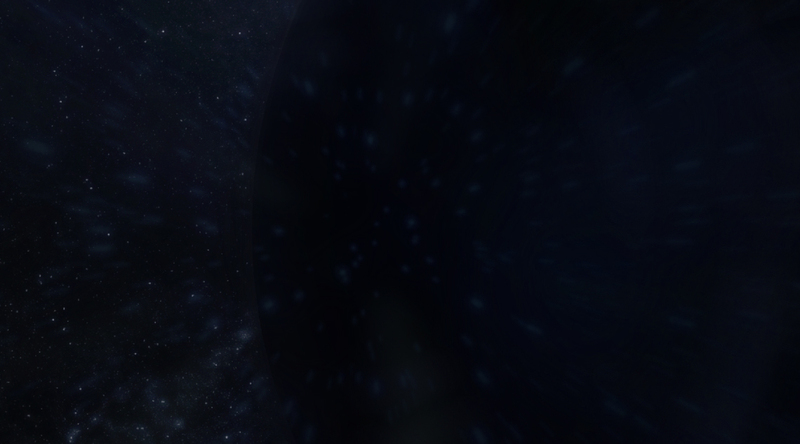 In the first image, you will see the introduction shot, first-person perspective of flying into the dark side of the moon. I have added a particle effect to help give off the impression of acceleration. Hopefully, it will look as if he is soaring quickly into the shadows, never to return. Our home being consumed by an unknown force! The next shot is of his flashback sequence. He is remembering his home and trying to figure out how it disappeared. This is a shot of the earth and the moon getting sucked into the shadows as if in a whirlpool, almost like a black hole. 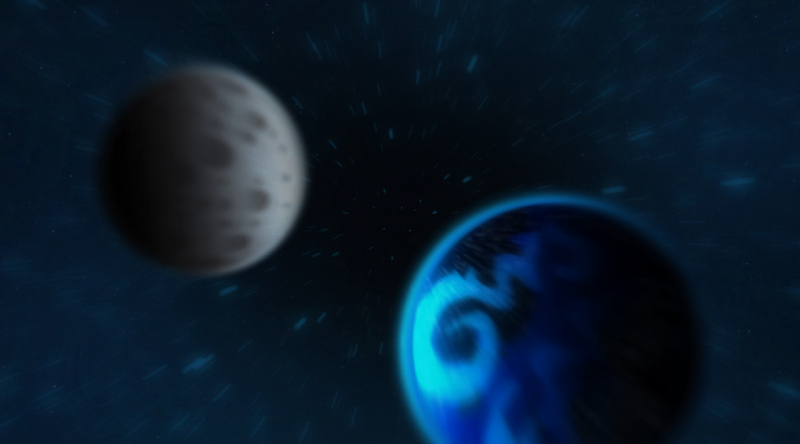 I added some nifty lightbursts onto the two celestial bodies. This worked out better than the multiple other effects I had tried. I started with a radial blur, directional blur with a keyframed direction, as well as others. Nothing quite did it like a light burst, though. I am pretty sure I will keep it. I might change the particles later, but overall I am quite pleased with this bit. The 20 second scene is fully ready to go. What's that light at the end of this chasm? The last scene is the stomach pan, where he gets swallowed up. He is flying into the belly of the beast, unsure of what he is going to find. I added acid clouds to the composition. I changed them to a neon green to sort of make the reds conflict with each other and pop out on the screen. On top of that, I added a keyframed Spherize effect over the particle passes and had it parented to the ship’s movement. 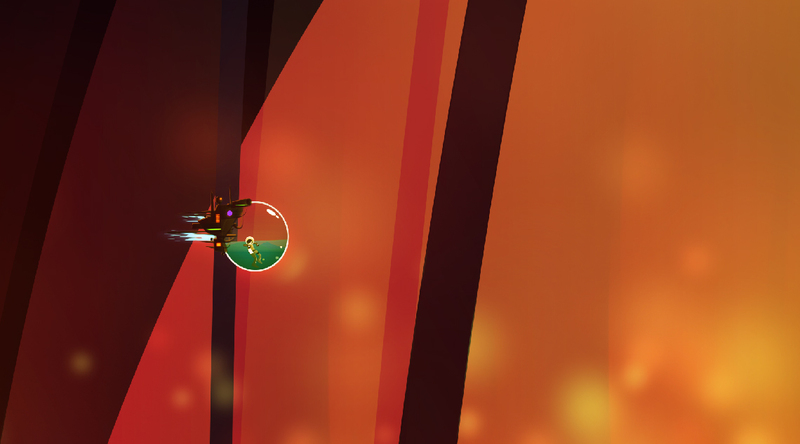 This makes the particles warp around a sphere, which makes it look as if the particles are physically interacting with the ship as it moves through the clouds. Pretty nifty! Finally, I added in a subtle background pass. There are faint animated ribs in the far, far background that move as he flies through. This should make the belly of the best look as if it is truly alive. We will see when I eventually render out some tests. That’s all for now. Back to work. This entry was posted on 02.20.2011 by Ryan M Paxton. It was filed under Animation Projects, Senior Project and was tagged with after effects, electronica, junior boys, music video, student film.